Discussion in 'Patch Notes' started by MWTaylor, Jul 10, 2017. Read the patch notes that were deployed on our public test server today and stay tuned for more updates throughout the week! RootedOak, BeatIt, Green Chili and 3 others like this. "Fixed a bug where you could not knock players up or in some cases damage them with spells near structures"
also, u guys fixed the kill logs? Fengor, Rath TNT and Marco like this. Kwatos, The Red King and NonFactor like this. 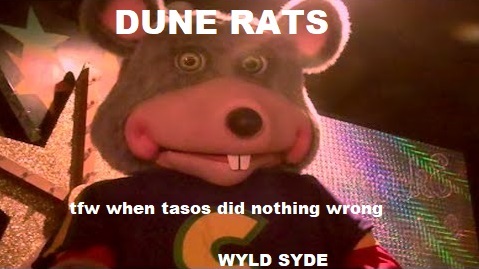 WyLd_SyDe and Fengor like this. First bug found. Getting on a ship cannon and clicking left click to fire as fast as you can closes down client. Also cant move ship cannons around at all. First bug found. Getting on a ship cannon and clicking left click to fire as fast as you can closes down client. Thank you for the report, this has been forwarded. Zunder Zolots was not EU, he was Australian (300-350ms ping). I feel like it was just poor wording and they meant he had really bad ping to the EU server. Maybe, I assumed a typo. He played on NA when I did however. Yeah he moved to NA during the transfers but when he played during beta as stated in the epitaph and before NA opened there was only EU. At least that's what I assume from reading I never knew him personally. Were any new portals added to go out and find? Not in this patch, although i'm sure dest is looking into places to add more. Thanks for the queueing. Does that effect potions, mellee abilities like rage and power attack too? @Bloodscar I logged into test Server and the mount lean is working like a dream, but My Auto Parry is broken I had RMB or Button_1 set to Auto Parry and loaded my Rays behind it so that if i have a staff i scan cycle rays but if I have a melee weapon out I can Parry. Anyway this patch broke my parry and my other option to parry with my weapon swap has auto Parry but it now has about .7 delay. I just shot a village in Dukes landing with a ship and my client crashes each time. @BloodscarI just shot a village in Dukes landing with a ship and my client crashes each time. If you are spam left clicking it is a known issue that has been forwarded already. Anyone have an idea on timeline for being able to race change? I'm at the point where I feel I should just reroll.